I want to weep. Mostly because I’m living out my Little House on the Prairie fantasies while still being able to use running water. This week, I decided to try my hand at bread making. Too many of my friends were reaping the benefits of eating homemade bread while I was sitting wondering how they found the time. I figured out the secret. Most of them have breadmakers. Alas, I do not, but I’ve never been one to shy away from a challenge. Ever. Which is how I ended up baking two loaves of bread way into the wee hours of the morning. 2 am to be exact. I was not disappointed, and neither wer any of the little people and big people in our houseful. I used a recipe from The Big Book of Bread by Betty Crocker and now I’m happily anticipating all the ways that I can add fresh baked breads to my arsenal. 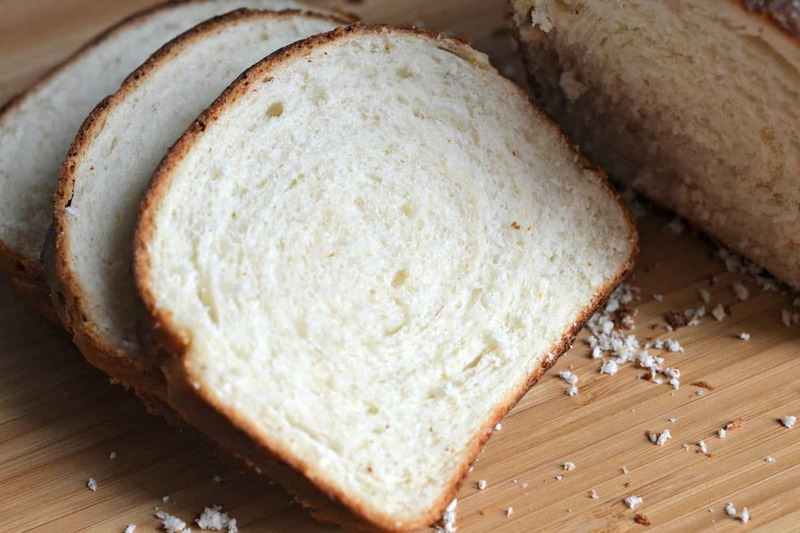 No worries, this isn’t a review of the book – although that may come a bit later, but a share of how a home cook that has no bread making experience can produce awesome tasting, fluffy and buttery bread the first time around. I have a super bad habit of going to the grocery store and picking up ingredients that I have never used before, waiting for the perfect time to use them. I’m currently eyeing tapioca flour. Several weeks ago I picked up bread flour and just knew that I was going to make a loaf of bread sometime soon. Mr. Houseful wasn’t so sure. Remember, he questions my weird acquisitions, and sometimes rightly so. 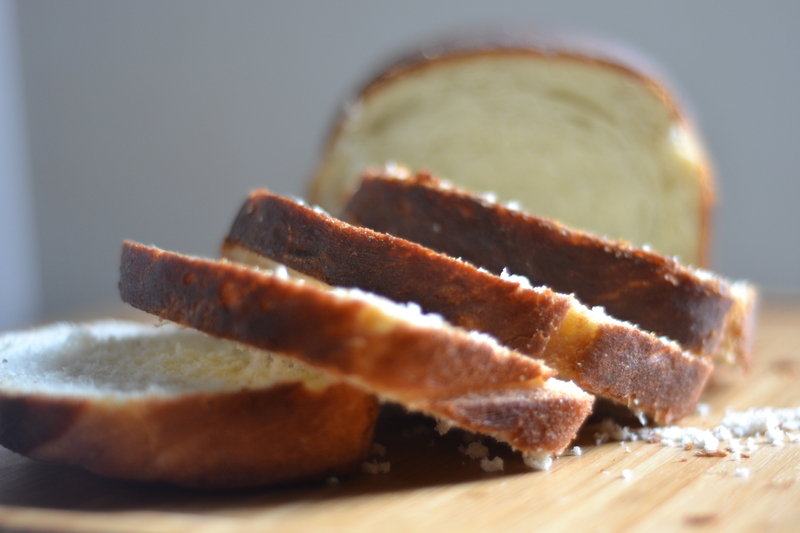 This time, his well-intentioned concern was met with spectacular bread, and butter. Because I’m awesome. He realizes that he married a goldmine. It didn’t take long to mix up the ingredients, but it did take a bit of time for the bread to rise twice and then bake, so I do recommend for those of you who aren’t experienced like me, to bake in the morning, not at 11 pm when the feeling moves you. Just trust me. To start this journey, you’ll need to snag the recipe below and get to baking! You know you really want to. You can also pair this with freshly made apple butter, or homemade butter. It begs for it. You can also try getting into the giving spirit and baking up a loaf of this one of your favorite people or neighbors with a jar of either butter, and put a smile on their face. 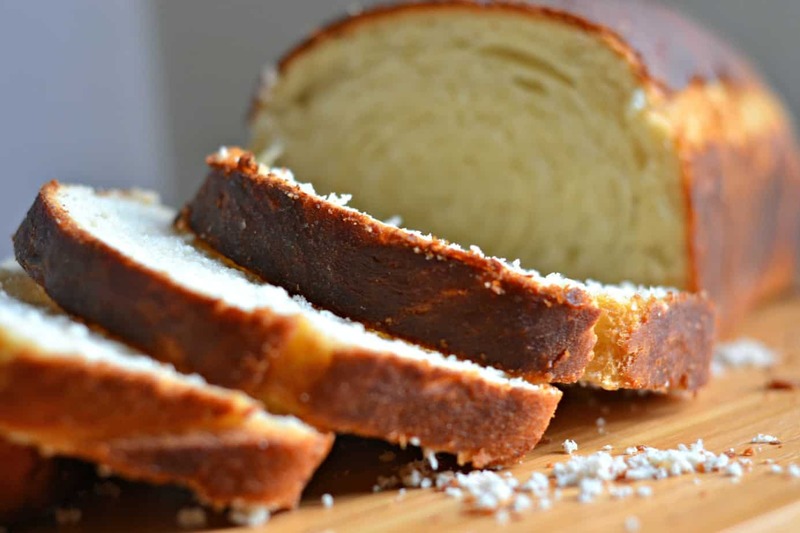 A great homemade version of fresh bread to be used for all of your dinners. 1. In larger bowl stir 3 1/2 cups flour and the rest of the dry ingredients until well mixed. Add warm water. Beat with electric mixer on low speed for 1 minute, scraping bowl frequently. Beat on medium speed 1 minute, scraping bowl frequently. Stir in enough of the remaining flour, 1 cup at a tim, to make the dough easy to handle. 2. Place dough on lightly floured surface. Knead 10 minutes or until dough is smooth and springy. Grease large bowl with butter. Place dough in bowl, turning it all around to oil all sides. Cover loosely with plastic wrap or kitchen towel; let rise in warm place 40 to 60 minutes or until double in size. Dough is ready if indentation remains when touched. 3. Grease bottoms and sides of 2 9x5 inch loaf pans with cooking spray or butter. 4. Gently push fist into dough to deflate. Divide dough in half. On lightly floured surface, flatten each half with hands or rolling pin into an 18x9 inch rectangle. Roll dough up tightly, beginning at 9inch side. Press with thumbs to seal after each turn. Pinch edge of dough into roll to seal. Pinch each end of roll to seal. Fold ends under loaf. Place loaves seam side down into pans. Brush loaves lightly with 1 tbs of melted butter. Cover loosely with plastic wrap and let rise in warm place 35 to 50 minutes or until doubled in size. 5. Move oven rack to low position so that the tops of the pans will be in the center of the oven. Heat oven to 425. Bake 25-30 minutes or until loaves are deep golden brown and sound hollow when tapped. Remove from the pans and put on cooling rack. Brush loaves with remaining 1 tablespoon of melted butter;cool. To slice the bread make sure to use a long serated knife. Use a sawing motion, and don't try to just cut straight down. This will produce great quality slices. I’m dying to try this to see if my hubs will eat it. It seems like a great weekend project. I’m sure I’ll be trying it soon.